Big-ticket Fantasy has had a rough go of late at the box office—but it looks like Disney wants to get behind the genre in a big way: They’ve tasked Lord of the Rings screenwriter Philippa Boyens to write a Merlin movie... and thankfully, it’s not another live-action adaptation of one of their own cartoons. Deadline reports that Boyens, best known for her collaboration with Peter Jackson and Fran Walsh to write the six films in the Lord of the Rings and The Hobbit trilogies, as well as The Lovely Bones, has been tapped to adapt T. A. Barron’s series of novels looking at the young life of Merlin the Wizard. 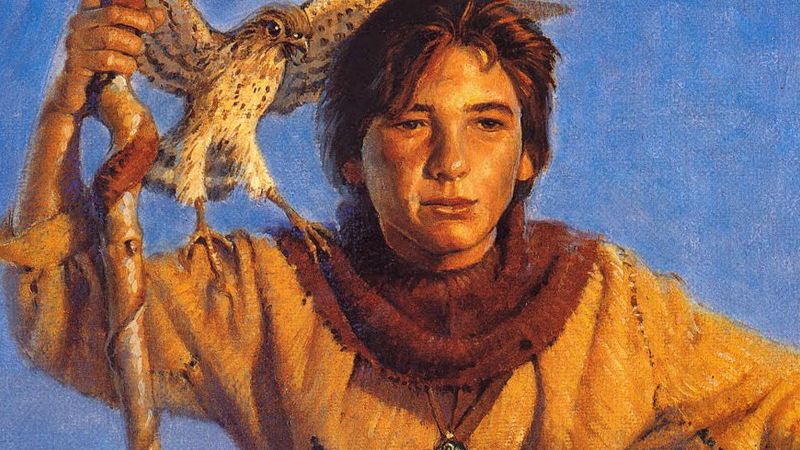 Barron’s Merlin Saga has 5 books under its banner as The Lost Story of Merlin, all examining the earlier years of the legendary wizard as he faces a threat to all magic itself. Considering Boyens’ background with adapting fantasy epics, this seems like it could be a pretty nifty deal for the House of Mouse. Are we on the brink of a resurgence of Fantasy at the movies? There’s pretty much just Warcraft out there at the moment (and, I guess, the complete bonkers insanity of Gods of Egypt) on the horizon right now in terms of really big-ticket material. Let’s hope we get to hear more announcements like these in the future.